How Does a DNA Paternity Test Work, Exactly? Is he the father of my child? Did I find my biological parents? With the technology available in DNA paternity testing, you can now get answers. The DNA collection process is simple and easy. Most people know that using a buccal (cheek) swab is how most DNA testing laboratories currently collect samples .This is because it is less invasive than collecting a blood sample. How does Swabbing your Cheek answer DNA Paternity Questions? Did you know most DNA is identical from person to person? But there are portions that are unique, like a fingerprint. These unique portions of DNA are used for paternity testing and other types of relationship testing. When you rub the special swabs on the inside of your cheek, you are collecting skin cells that contain that unique genetic profile. These special buccal swabs are not regular cotton swabs. They are made of a special material to help capture the cells needed for testing. The genetic profile of a child is inherited from both biological parents. Once DNA is extracted from the swabs in our accredited in-house lab and the testing portion is complete, the profile of the alleged father is compared with the profile of the child in question. This determines if the man tested is the biological father. It’s just that simple! Fortunately, getting answers is affordable too. Thank you for your comment. If you decide that you want a the paternity test for peace of mind, the process is very easy. You simply purchase the paternity kit at your local pharmacy (you can find locations near you on our website). These can be purchased for about $30. You follow the instructions in the kit, collect samples for the alleged father, child, and Mother and send to our lab for testing. There is a processing fee of $129 when you will need to send in with your samples. If you are interested in completing a legal paternity test (used for legal purposes such as child custody/support, social security, etc. ), this process is also very easy. Legal tests require that you are collected by a non-interested third party. Here at Identigene, we schedule the appointments for you around your schedule, we take care getting the paperwork and supplies to the collector, and the collector sends everything back for testing. All you have to do is go to the appointment. For pricing and process feel free to view the website or contact our client support team at 888-404-4363 Mon-Fri 9am-8pm EST. They are always happy to assist. I’m in a situation where i have no idea who my father is. I’ve had a man in my life who i thougt was my dad but my mom told me that he was never my father. i’ve gone 19 years feeling like the man i thought was my dad never really was my dad. My mom told me who my “real” dad is and we have to get this test done and i’m scared because i’m scared on who my dad really is. I am sorry to hear about your situation. It is up to you to decide if finding the answers is what is best for the both of you. Sometimes peace of mind of just knowing the truth does help in many ways. The testing process is simple and we are here to help answer any questions. Feel free to contact us with any questions you may have. I am in an emotional state/place at the time. I had paternity slow in my baby with dude I just knew was the father yet the results stated otherwise. Is there anyway that thus is incorrect?? Her hairline is like theirs,she has their skin color, she has so many of their traits it’s really hard to understand this. Is there any possible way that the collection wasn’t done correctly for my baby?? Looking at pictures of them, they’re twins. I need your help. You really need to trust the DNA test to determine your baby’s biological father. I can only speak for Identigene, our tests are 100% accurate. In our business, we see lots of mothers just like you. Many doubts on the test results. Did you watch the alleged father swab himself? Did you swab your child or witness the swabbing? Did you mail in the results yourself? All these questions are important. If you answered no to any of the questions, you might consider a retest using legal testing procedures. Please feel free to call our customer service department to discuss your options. The number is 888-404-GENE. My husband and I at the time had a DNA test on my daughter. The probablity was 99.999% that he was the father and it had a compatibility number on there too. If another guy was tested, could he too have the same probality but higher or lower compatibility number though? No. Anyone that does not match the childÃ¢â‚¬â„¢s DNA at every marker, would have 0% probability. Thank you for contacting Identigene. Can you tell me if it is possible to prove a child was born to the mother without testing the father? Yes, this is called a “Maternity” test. This identifies if the mother swabbed is the biological mother of the child swabbed. The test is $159. Please contact our client support staff for more information or purchase online at http://shop.identigene.com/ProductDetails.asp?ProductCode=210-001004. Thank you. Hello there, I recently done a blood test with the mother and the child and the results came back 100% positive. Now what I don’t understand is that the baby is a boy and I’m the father but am white and he’s black and the are no similarities between the child and the father but the test shows hundred percent and the mothers completion is also white so I was expecting a white baby. Can this results be accurate to that degree? Please help me I’m really confused about this outcome. The Identigene DNA paternity test is done using cheek cells. Our test is not a blood test. We cannot comment on a test that is not from Identigene. We advise that you contact the laboratory that completed your test for answers to your questions. Thank you for finding our blog. Sorry that we couldn’t be of more help. There is a question whether my son or his father is the father of my grandson. What markers are used to determine paternity? Would there be a possibility that the test says the baby is my sons even though its his dads because the markers are similar for both? This from our lab director: If the alleged fathers of the child are father and son, then yes, the results could fail to exclude the tested man if our client support staff was not notified before testing (detailed in the kit instructions under FAQs) of the close relationship these two men possess. We highly recommend in these cases that the mother be included in the testing in order to more accurately determine which of the childÃ¢â‚¬â„¢s alleles (markers) are of paternal origin. Also it is highly recommended that both alleged fathers are tested in order to exclude one of them as the father of the child. If you have already participated in an IDENTIGENE DNA Paternity Test, we recommend you contact client support at 888-404-4363 to discuss retesting. Thank you. Is it possible to find out who your father is without a swab from the other person? or would this just give my DNA make up. What if both parents are dead. How would this work then? if the father is dead can you test one of his known biological children to prove paternity? 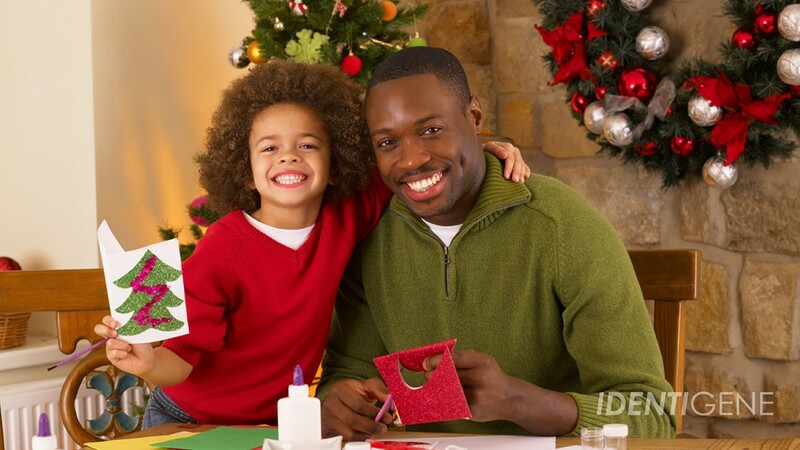 A DNA paternity test needs the father’s DNA as well as the child’s DNA. If you don’t have the father’s DNA, there are other ways to determine paternity. If the alleged father has a brother or sister, we can perform an aunt/uncle relationship test. If the alleged father’s mother or father is available for testing, we can conduct a grandparent DNA test. If the alleged father has other children, we can compare your DNA with theirs for a sibling DNA test. Please contact our client support staff at 1-888-404-4363 to discuss your testing options. You can also visit our website for more information, http://www.dnatesting.com/dna-paternity-test/more-dna-testing Thank you! We had three paternity tests done on two of my husbands children from a previous marriage and also on my own son. Al three of the children are male and according to information I was given the fathers y chromosomes are carried over directly to the sons. I am also aware that the x and y chromosomes should be unchanged of the alleged father and that his dna cannot change. a y chromosome stays a y and an x chromosome remains an x. But I don’t understand and would like to find out more information on the following matter. If we only look at the paternity tests comparing the y and x of my husband his x and y chromosomes differ from each test, is that possible, how can they differ. Each sons y is directly carried over, but each y string differ on each test. only one sample was taken from my husband and were to be compared with al three of the children. can you please help me to understand this and if it could be possible. We are forwarding this question to our lab director. We will post an answer shortly. Thank you. hi. i recently found out im pregnant amd a little scared because my bf might now be the father. i was just wondering is there a way to find out if my unborn baby is his or not. i could really use the answers for a state of mind. Thank you for your question. We do offer a Pre-Natal Paternity Test. Please consult your physician or genetic counselor for professional advice regarding prenatal sample collection. There are two types of DNA samples that can be collected for this testing, and both are considered to be special specimens. The first option is a CVS (Chronic Veli Sample) and is typically collected between the 9th and 12th week of pregnancy. You can speak with your doctor to see if they will be willing to collect this type of sample for you. The second option is an amniocentesis and is typically collected between the 12th and 21st week of pregnancy. Since these samples are special specimens, unfortunately we cannot guarantee that the samples will produce results because these samples are more difficult to work with. In addition, you will need a cheek swab sample from the alleged father. If you decide you would like to go forward with this test and you have found a doctor to perform the sample collection for you, you will need to give us a call at 888-404-4363 and speak with one of our DNA consultants to set up your account. We will need to send a special collection kit to the doctor who will be taking the sample along with the required paperwork for a special specimen. I hope this answers your question. Feel free to give us a call at 888-404-4363 if you have any further questions and we will be more than happy to assist you. the girl that i was dating she is six(6) weeks pregnant and i just found out from her a week ago bt i have a feeling that i’m the one who made her pregnant…is it possible to make paternity test if the baby is not born yet? Thank you for your question, Ernest. We do offer a Pre-Natal Paternity Test. Please consult your physician or genetic counselor for professional advice regarding prenatal sample collection. There are two types of DNA samples that can be collected for this testing, and both are considered to be special specimens. The first option is a CVS (Chronic Veli Sample) and is typically collected between the 9th and 12th week of pregnancy. You can speak with your doctor to see if they will be willing to collect this type of sample for you. The second option is an amniocentesis and is typically collected between the 12th and 21st week of pregnancy. Since these samples are special specimens, unfortunately we cannot guarantee that the samples will produce results because these samples are more difficult to work with. In addition, you will need to send a cheek swab sample. If you decide you would like to go forward with this test and you have found a doctor to perform the sample collection, you will need to give us a call at 888-404-4363 and speak with one of our DNA consultants to set up your account. We will need to send a special collection kit to the doctor who will be taking the sample along with the required paperwork for a special specimen. Ok so recently I meet who I thought was my real dad, we took the mouth swab test, but did not read the instructions. And ate before we did the test. We took the test about 15-20 minutes afterwards. Then the test came back and said he wasn’t my real dad. How accurate was this test since we ate 15-20 minutes before. Sometimes food or drink can contaminate the samples, making it difficult to extract DNA. If contamination occurs, we are able to detect it once testing begins and we will contact you about recollecting the samples. The DNA itself cannot be changed however, so if the lab was able to process the test and produce a result, the samples were not contaminated and your result is 100% accurate. If you have any other questions or concerns about your specific test feel free to contact our client support staff at 1-888-404-4363. Thank you. What dose it mean on a Paternity Test when it say’s Not Excluded from being the father? If your results read that the father is “Not Excluded” this means that he can’t be excluded from paternity of the child and that we DO consider him to be the biological father. If you have any other questions regarding your results, feel free to contact our friendly client support at 1-888-404-4363. Thank you. I have a daughter and her father is denying her. I want ti do the DNA paternity test. He smokes a lot of marijuana with that affect the results? Any contaminates will not affect the results. Sometimes when there are contaminates, such as food, drink or remnants from smoking, we have a hard time extracting DNA from the samples. The DNA itself cannot be changed, these contaminates simply don’t allow enough DNA to be taken from the sample swab. If we have any problems with contamination (we are not able to get enough DNA for testing) we will contact the participants to recollect the sample. If however, you receive your test results, this means we had adequate amounts of DNA for testing, and there is no need to worry about contamination. If you have any other questions, please feel free to contact IDENTIGENE at 1-888-404-4363. Thank you. No, it will not affect the paternity test results. When there are contaminates such as food, drink or remnants from smoking, it is sometimes difficult for the lab to extract or gather DNA from the sample. If there is not enough DNA for testing, we contact the participants to recollect the sample. The DNA itself cannot be changed because of contaminates, so if you receive test results, our lab was able to gather enough DNA to give you accurate results. If you have any other questions, please feel free to contact our friendly client support staff at 1-888-404-4363 and they would be happy to help you with any other questions you may have. I have a situation that I am unsure how to proceed. We had paternity test done on my step brother born to my step mother side. The result came back negative with saying that no chromosome matched with the father. Even-though he has traits that match my father side of the family. I am wondering if my older brother (not step) is the father of this kid. However, reading the Q&A above, it seems unlikely because because the genetic makeup would have match because of the close relationship? Please advise. We apologize, but without your test result details, it is difficult to answer your questions. Please contact client support at 1-888-404-4363, if you would like to get answers to your questions. Thanks! We are glad you found some helpful information on our resource center article! Thanks for sharing with us! Once we receive your samples to our lab testing begins and takes up to two days. You should receive an email in your inbox once we receive samples, when we begin testing and also one when your results are ready to view. The automatic emails that you receive will give you insight to where we are in the testing process. If you have any other questions, please contact us and we would be happy to help! Thank you. Hello I have a problem my baby daddy’s parents want too know if my baby’s daddy is the biological father. I know very we’ll he is but the problem is I can’t get one rightnow until he’s born i have to ask for it there in the hospital as soon as I have him but how long would the results take to get too me ? Results are available online or by phone 2 business days after we receive samples to our laboratory. One important thing to be aware of is that our laboratory is closed on the weekend (Saturday and Sunday) and holidays and won’t be able to receive or start testing samples until the following business day. You’ll want to be sure to include this in the time it will take to get your results. We do have options for rush testing. With rush testing, you will pay for overnight shipping and then a $99 fee which will give you results in 1 business day. If you would like to know more about when you can expect results or about rush testing, please contact us at 1-888-404-GENE, Monday- Friday, 9 a.m.- 8 p.m., ET. What if I don’t have the DNA from the biological father? Can you run a scan against a database and tell me who my biological father is? Great question! 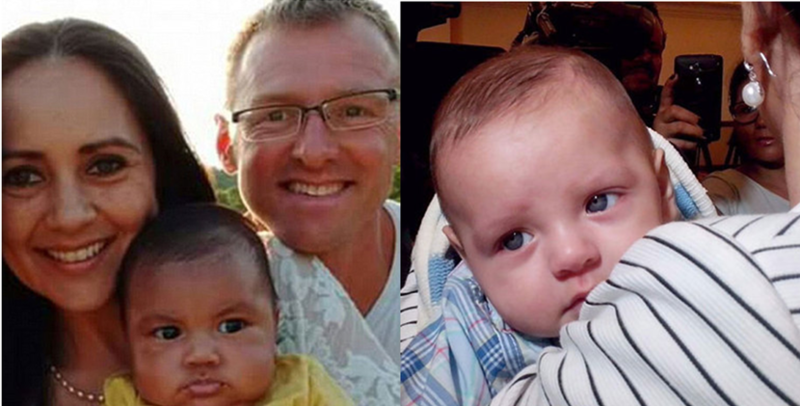 DNA from the child and alleged father would need to be provided in testing for paternity. It is always best to do a direct paternity test whenever possible, but we do have other options when the alleged father is not available. We can do other DNA test to determine paternity, such as, Grandparent DNA (alleged father’s parents), Sibling DNA (alleged father’s other children), and Avuncular DNA (alleged father’s brother/ sister) test. You are welcome to call our friendly client support, so we may have a better understanding of your situation and help you decide which test would be better. You can reach us at 1-888-404-GENE, Monday-Friday 9AM-8PM ET. Thank you for your comment! Thank you for your question! I am understanding you are seeking a pre-natal test? We do offer a Pre-Natal Paternity Test for $400 and it will take 3-4 weeks to process. Please consult your physician or genetic counselor for professional advice regarding prenatal sample collection. There are two types of DNA samples that can be collected for this testing, and both are considered to be special specimens. The first option is a CVS (Chorionic Velli Sample) and is typically collected between the 9th and 12th week of pregnancy. You can speak with your doctor to see if they will be willing to collect this type of sample for you. The second option is an amniocentesis and is typically collected between the 12th and 21st week of pregnancy. Since these samples are special specimens, unfortunately we cannot guarantee that the samples will produce results because these samples are more difficult to work with. When you have decided to go forward with this type of test, once you have found a doctor to perform the sample collection for you, you will need to give us a call at 1-888-404-4363 and speak with one of our DNA consultants to set up your account. We will need to send a special collection kit to the doctor who will be taking the sample along with the required paperwork for a special specimen. I hope this information is helpful. If you have any more questions please feel free to call our friendly client support at 1-888-404-GENE, Monday-Friday 9AM-8PM ET. Thank you for your comment! I just recieved my paternity results today. The man I thought was my father tested negative. Is it possible to tell if his brother could be my dad?? He is deceased so theres no way he could be tested. Do brothers share enough dna that since one is excluded that the other could also be excluded? Thank you for your patience! Siblings do share similar DNA, however, it would be best to have the actual DNA to test for paternity. Are the parents of the brothers still available for testing? If so, you may test them in our grandparent test to see if one of their sons can be considered as a possible biological father. Our grandparent test is $399 and you will typically get your results within 5 full business days of our receiving your samples. If you would like to inquire a grandparent test or have any more questions, please call our friendly client support. We are more than happy to assist you as we know the importance of answering paternity questions. You can reach us at 1-888-404-GENE, Monday-Friday 9AM-8PM ET. Thank you for your comment! if the child had past on how does one determine the father. We send our condolences. I have consulted with the lab director to see if there is a possibility. I will contact you when are provided a response. If you have more questions, please call us at 1-888-404-GENE, Monday-Friday 9AM-8PM ET. Thank you for your comment! hello, I just wanted to ask, would I be able to find out who the father of my unborn child is? id like to know before it is born and im not sure if that’s possible. its between two men. Thank you for your question. We do offer a Pre-Natal Paternity Test for $400 and it will take 3-4 weeks to process. Please consult your physician or genetic counselor for professional advice regarding prenatal sample collection. There are two types of DNA samples that can be collected for this testing, and both are considered to be special specimens. The first option is a CVS (Chronic Veli Sample) and is typically collected between the 9th and 12th week of pregnancy. You can speak with your doctor to see if they will be willing to collect this type of sample for you. The second option is an amniocentesis and is typically collected between the 12th and 21st week of pregnancy. Since these samples are special specimens, unfortunately we cannot guarantee that the samples will produce results because these samples are more difficult to work with. When you have decided to go forward with this type of test, once you have found a doctor to perform the sample collection for you, you will need to give us a call at 888-404-4363 and speak with one of our DNA consultants to set up your account. We will need to send a special collection kit to the doctor who will be taking the sample along with the required paperwork for a special specimen. I hope this answers your question. Feel free to give us a call at 1-888-404-4363, Monday-Friday 9AM-8PM ET, if you have any further questions and we will be more than happy to assist you. Thank you for your questions! Our kits are 100% accurate based on the samples we receive. With the at-home kits, we cannot verify if the samples sent in labeled, “John Doe” really are from John Doe. We trust our customers to witness collections and send in the samples they want their results based off of. You can get our kit from your local Walmart, Rite-Aid or CVS. Using all the swabs at the same time may lead to an insufficient amount of DNA on the swabs. If this is the case, our lab will contact you and ask for a recollection in order to obtain a better sample collection. However, if we do not contact you and testing continues, the samples were good to test. I hope this information helps, if you have any more questions or concerns please call us at 1-888-404-GENE, Monday-Friday 9AM-8PM ET. Thank you for your comment! Yes. Our lab will definitely be able to tell if both swabs are from the same person. Our lab would then ask for a recollection in order to obtain both samples needed to provide a paternity report. Recollections are free of charge and supplies will be mailed out once we contact you for an address. Our client support will be more than happy to assist you with any recollections or questions in general. You can reach us at 1-888-404-GENE, Monday-Friday 9AM-6PM ET. Thank you for your comment! Our kit includes an order form and collection envelopes along with the swabs. The order form must be completed by one of the participants, and each envelope needs to be filled out with the information for each participant (mother, alleged father and child). Envelopes include a space for a first and last name, as well as date of birth, gender, ethnicity and contact number. All envelopes must be filled out completely in order for the samples to be accepted in our lab. I hope this information helps. If you have any more questions, please call us at 1-888-404-GENE, Monday-Friday 9AM-6PM ET. Thank you for your comment! We highly recommend no alias names on the order forms or sample envelopes. There are instances when you may need to prove your identity, such as adding/changing a password. To prove your identity, we ask customers to provide a copy or image of their ID, which needs to match the name given on the order form or sample envelopes. Have in mind your test will be confidential and your identity will be protected. We only share information with those able to verify the unique password you set for the case and are either participants or are listed as a contact. I hope this information helps. If you have any more questions or concerns, please call us at 1-888-404-GENE, Monday-Friday 9AM-6PM ET. Thank you for your comment! I had a paternity test done about a year ago…. to me was more like a comparison and said 99.9999%…. do I need to believe this test or do ypu think I need to do another using the services of your laboratory … I still have my doubts . While we cannot comment on behalf of other labs, you may want to find out if the lab you tested with is an accredited lab. Another question to ask yourself is if you were able to witness the collection of DNA from the participants. It is very important to witness and make sure you have sent in the DNA you wish to be tested. 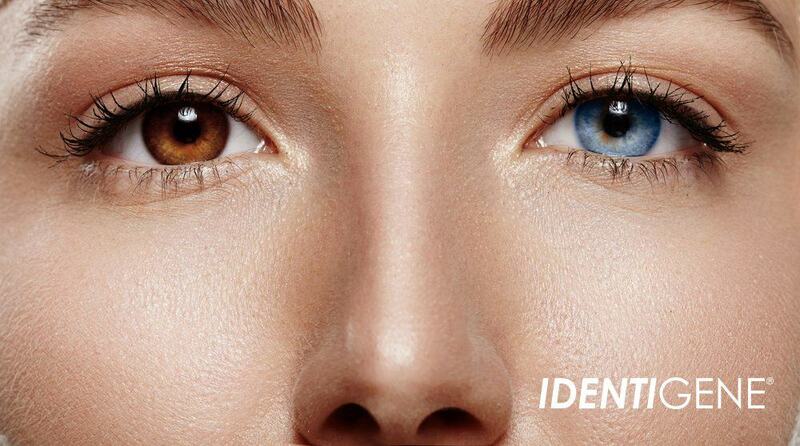 IDENTIGENE is a fully accredited lab following strict procedures to provide you with 100% accurate results. If you have more questions about testing with us, please call 1-888-404-GENE, Monday-Friday 9AM-6PM ET. Thank you for your comment! While we cannot comment on other labs, we are more than happy to help answer any questions you have about IDENTIGENE. Our mailing envelope can take anywhere from 5-10 mailing days to arrive in our lab. Once we receive the envelope, we will notify you by email (if provided) that your samples are here, Typically, testing will take 2 full business days. We do not make outbound calls, but our friendly client support is ready to help answer your questions when you call and verify your case password. We can mail out one copy of your results free of charge if requested, however, any additional copies will cost $35. I hope this information helps answer your questions. Please call us at 1-888-404-GENE, Monday-Friday 9AM-6PM ET with any more questions or concerns. Thank you for your comment! a old girlfriend of my son says her 17 year old son is my grandson and she wants a dna test to prove it. I would like to know can you use the grandparent for dna. I dont want to upset my sons family if he is not the father. the boy is in tx and we are in ca. 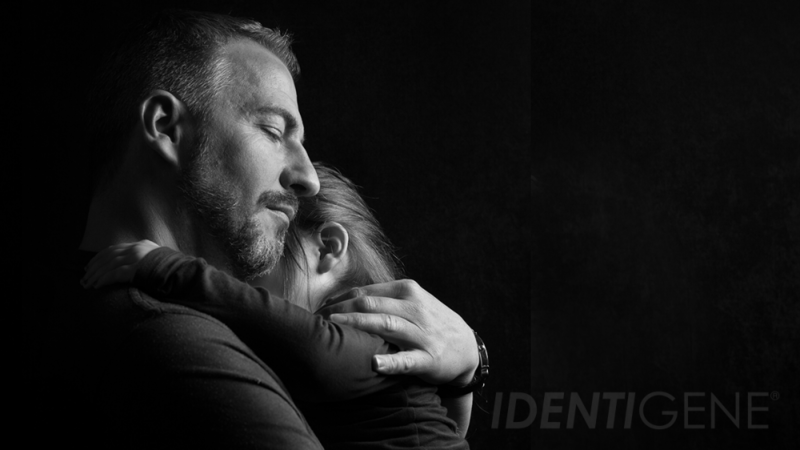 Thank you for your interest in Identigene. ItÃ¢â‚¬â„¢s always best to do a direct paternity test whenever possible, but we do have other options when the alleged father is not available. Grandparent DNA testing with both grandparents offers the “next best thing” to a direct paternity test. With both grandparents, DNA testing can conclusively determine whether a son of the alleged grandparents could be the biological father of a child. Results probabilities for DNA testing with both grandparents are typically 100% (exclusion) or 99.9% (inclusion), but there is a chance that the results will be inconclusive without the biological mother. Grandparent DNA testing with only one grandparent will produce results that fall into one of four categories: strongly supported (conclusive), somewhat supported, inconclusive or not supported. If the biological mother is not available to provide a sample for testing, there is a greater likelihood that the results will be either somewhat supported or inconclusive. A test with both Grandparents will be $359 and typically takes 5 days to complete. A test with only one Grandparent will be $399 and takes approximately 5 days to complete depending on the samples. We can mail the supplies to two different locations for your convenience. 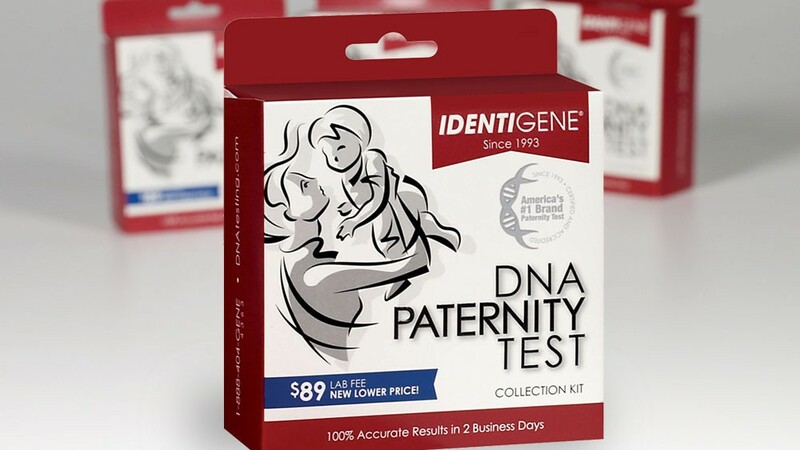 Please call us at 1-888-404-GENE, Monday-Friday 9AM-6PM ET so we may better assist your situation and help you set up a paternity test. Thank you for your comment! DNA samples are good for up to 6 months after the collection is done. In order to prevent contamination of samples, we recommend the participants being swabbed to not eat or drink for an hour before the DNA collection. As long as the samples are kept safe in the corresponding envelopes, samples should be okay for testing. We also recommend having the DNA collection witnessed and make sure that all participants are there for the collection to prevent mistakes (both intentional and unintentional) from being made. For more information or questions on testing participants from two different places, please call our friendly client support at 1-888-404-GENE, Monday-Friday 9AM-6PM ET. We are more than happy to assist you with all of your questions! Thank you for your comment! I got a dna test done when my child was 3 days old and sent results in. The results came back 0%. Problem is the possible father smokes marijuana and smoked before doing the swabs. He got more saliva on the swab more then his cheeks. I too also smoked before doing the swabs and my child was just fed before taking the swabs. Is there any way that the results were affected from this? The envelope was moist from the weather as well. I want to know should I consider taking another test or should I trust the results? We suggest waiting at least one hour after eating, drinking, brushing teeth, or smoking before collecting the samples. There is a possibility that the samples could be contaminated with food, drink, blood or even from smoking, but our lab will be able to detect this. We even detect if there are two different DNA samples on the same sample swab, as it will show two different DNA profiles. If we were able to produce results from the samples sent in to test with then this would mean the samples were not contaminated. Based on the samples and information sent to us to test with the results are 100% accurate. Jaundice would not affect the results of a paternity test as it does not change DNA. DNA could be affected if a participant had a blood transfusion or a bone marrow transplant. Otherwise, the results would be 100% accurate based on the samples and information sent in to us to test with. It is very rare that the mother of the child is needed to complete a paternity test. We do provide conclusive results on a regular basis when only testing the alleged father and child. The web link below will provide you with additional information about why the biological mother is sometimes needed to complete testing. Hey there I had a question I smoke weed a lot but a got a DNA test would me smoking affect anything with the result’s…. Hi! Smoking weed does not affect DNA testing results. Can a DNA test be conducted without the mother? Hi, Chris. As far as the actual testing goes, in most cases conclusive results can be obtained without the mother’s DNA being included. Now, if an alleged father does not have legal guardianship of an underage child but the mother does, the mother’s signed consent is required in order for the child to be tested. How would someone get a test done if the child is in another state? Hi, Katie. It’s easiest if you just call us directly and we can figure out how best to get supplies to all test participants. 888-404-4363 (M-F, 9 AM to 5:30 PM Eastern Time). I HAVE HAD THREE TEST DONE WITH YOUR COMPANY ON THREE DIFFERENT CHILDREN. THE RESULTS WERE …#1=99.98, #2=99.67, #3=99.99. INFIDELLITY HAD BEEN SUSPECTED THROUGHOUT OUR MARRIAGE AND RECENTLY ADMITTED BY THE MOTHER. Hi, Steven. Those are all three considered “positive” results for paternity. The differences in percentages of probability are simply due which genes you happened to share at each locus. Hi! Me and my husband are about to attempt a paternity test on a child of a woman who claimed my husband to be the father of her child. As my husband is denying the fact of being the father, he is worried about the accuracy of the test with buccual swab. Is there any chances of manipulation during the test or on the test reports? Hi, Fima. Are you collecting the child’s DNA rather than relying on the mother? As long as you have custody of the samples before you put them in the mailbox,there is no chance of fraud. Once they’re at the lab, everything is secure from start to finish and there’s zero chance of manipulation. DNA from buccal swabs is exactly the same as from a blood sample, so that’s not an issue. Good luck! In my situation my father is telling me that he was told i wasn’t his son around the time i was being made but never said anything till now since I’m of age and my mother has never said anything to me about this. He wants to do a test to be sure but if my mother finds out she will be furious. So in that case do BOTH of my “parents” have to be there? Hi, Ivan. Although we recommend that the mother participate too, it’s usually not necessary in order to receive a conclusive result. By the way, you’re under no obligation yourself to agree to testing…you have a choice here too. how does genetic mutation affect the paternity test? I ask because we have taken 3 test, all negative, yet the mother continues to insist that the child does not look like her father. because of this, she insists that the child might be mine and there was genetic mutation that threw-off the test. Hi, Mike. Any genetic mutations are taken into account by the analysts when determining the probability of paternity. So the mother has no grounds on which to make her claim.